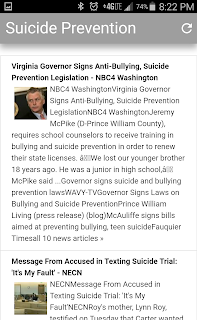 Description: The Mental Health Daily News Feed is a simple mobile application that delivers the latest news on mental health and substance abuse. 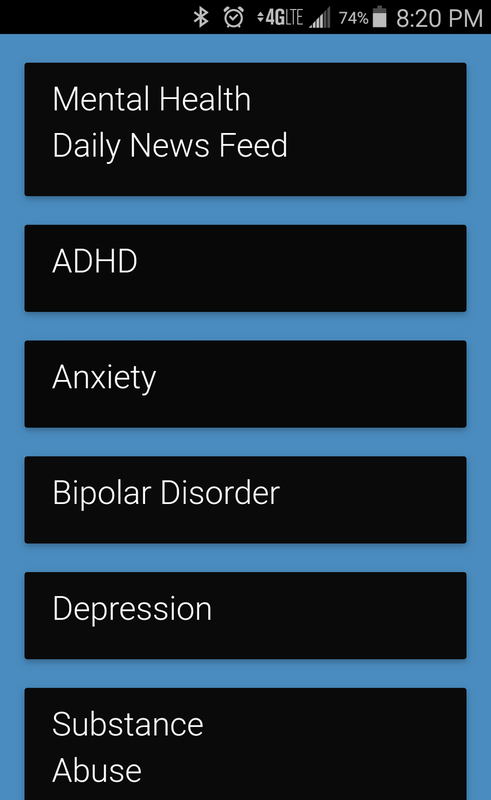 Mental Health Daily News is a news feed that pulls stories and articles from the internet based on key word tabs. 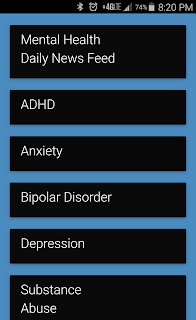 The app currently has news tabs for Mental Health, ADHD, Anxiety, Bipolar Disorder, Depression, Substance Abuse, Schizophrenia, Suicide Prevention, Psychology, and Human Services. Each tab delivers ten news articles every day. 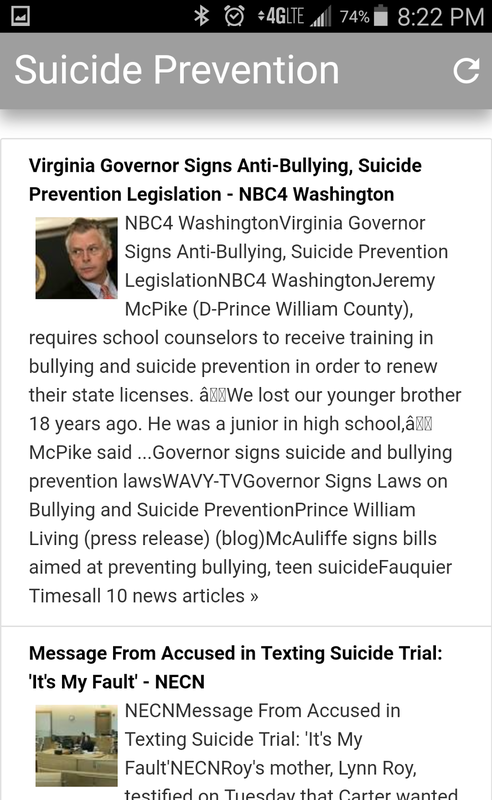 Stay up to date on the latest news and information on mental health and substance abuse. 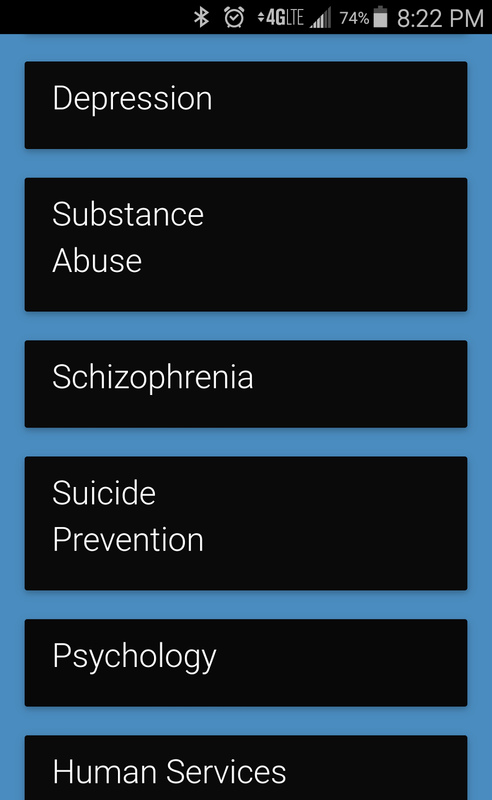 This app can be a great resource for clients, family, service providers, or anyone interested in learning more about mental health and substance abuse. Platform: Android (This app is currently under construction and unavailable on Google Play at this time). 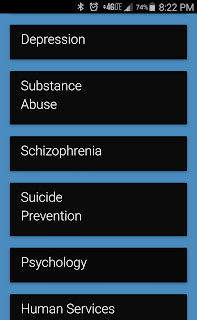 However, Mental Health News tabs have been added to the main Case Management Basics App.